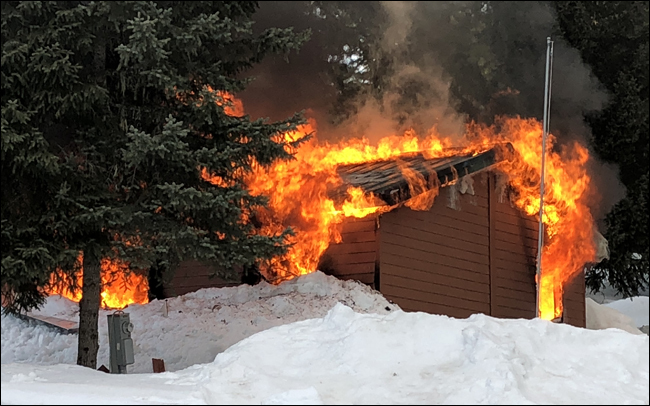 An explosion at an Idaho Fish and Game residence at Powell on Saturday evening (March 16) brought together multiple agencies at this remote location at Lolo Pass on US-12. The ITD crew near the residence heard the thunderous boom around 5:15 p.m. and began to investigate. Baerlocher and teammate Allen Amundson rushed to the house nearly half a mile away to find the ISP officer shell-shocked from the blast. 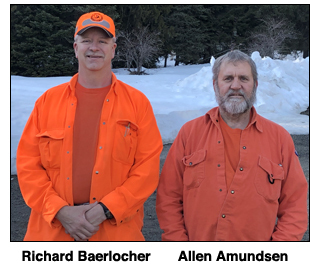 After determining he was not seriously injured, Amundson and Baerlocher went to the house to locate the two other IDFG employees thought to be on site. All three individuals at the residence during the explosion did not receive major injuries, according to a press release from IDFG. The explosion is thought to have been related to the propane gas heating system, as its tank had been recently refilled. Earlier that day, Baerlocher said the IDFG employees told him that they had smelled propane, opened windows for a few hours and came back later to light the wood stove. That spark is thought to have caused the explosion and resulting fire, though the incident is still officially under investigation. Other agencies, including the Montana Highway Patrol and a rural fire department, also showed up on scene.